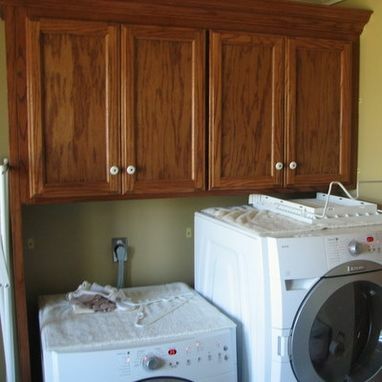 Organization for the laundry room.The oak wall- mounted laundry cabinet puts all your supplies within reach, but out of sight. 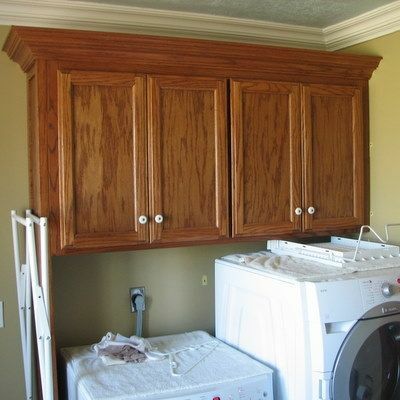 This cabinet features frame and panel doors and architectural crown. Dimensions: 6' x 34" x 12" appx.